The Friends of the Hillsboro Public Library recently funded the purchase of a 3D printer as another tool in the Library for people to explore creative possibilities, and as an introduction to this fascinating and useful technology. “3D printing is an emerging and constantly evolving technology, and people are definitely curious about how they work and what they can do. Anything you can dream up and design can be brought to life by one of these printers,” said Brendan Lax, Reader Services Librarian. 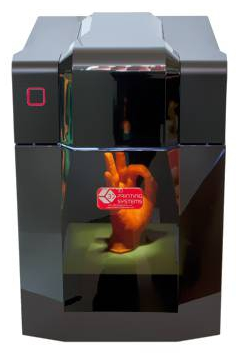 The UP Mini printer can print objects up to dimensions of 4.5” x 4.5” x 4.5”. Given the time it takes to complete printing, library staff are developing a plan as to how best to provide access to patrons, as well as gauge interest and demand. Plans at this time include offering weekly 3D printing labs by early next year to help patrons design and print their projects. 2014 National Book Award Winners announced!